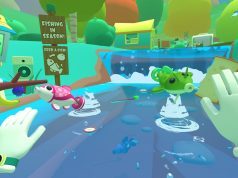 Owlchemy Labs, the studio behind the hit VR parody game Job Simulator (2016) and Rick and Morty: Virtual Rick-ality (2017), debuted their upcoming game here at GDC 2018, an aptly named sequel to Job Simulator that delves into the imagined world of what vacations must have been like for us humans before all the jobs (and presumably vacations) were automated away. Called Vacation Simulator, I got a chance to go hands-on with what aims to be a longer, narrative-driven sequel in the growing franchise. 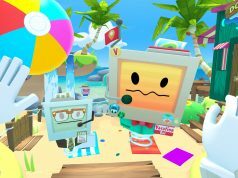 Vacation Simulator, I was told by CTO Devin Reimer, features an iteration on the studio’s node-based teleportation system developed for Rick and Morty VR, which allows you to traverse a few objective-based ‘stations’ instead of standing in a dedicated level like in Job Simulator. This, I would learn, would change a few fundamental things about the growing Simulator franchise; it allowed for more diverse play spaces in a single level. Putting on the HTC Vive Pro headset, I was greeted by a familiar-looking floating robot buddy, a staple quest giver and all-around source of goofiness first introduced in Job Simulator. The robot beckoned me to wave to him, something new the studio added to make the robots more interactive. A simple wave started the demo, and I was off to a cartoony seaside rife with possibilities. Stepping onto the beach, I found a half-dozen teleportation nodes, each of them featuring their own individual activities; there was a sand castle-building station with block-based logic challenges, a cabana stocked with a grilling supplies for madcap food prep alla Job Simulator, a dock-side shop where you can buy items with sand dollars and receive mini-quests to get you exploring the cute, if not crowded, beach cove. I especially liked the sand castle building station, which gave you a graph paper chart displaying a 2D representation of the castle you’d have to replicate. Or, I could just screw around and build a massive sand castle and save it on a floppy disk, and toss it in my backpack for later. 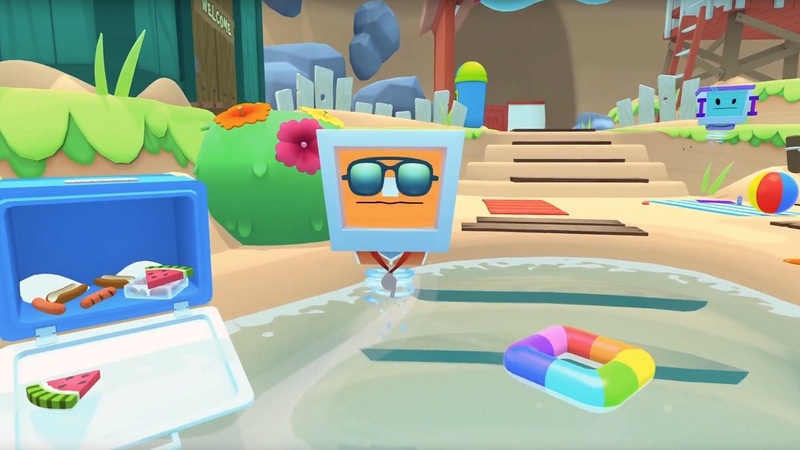 The backpack, the game’s new inventory system that you access by physically reaching behind you, contains a Polaroid camera and space for a few objects—illustrative of the sort of missions ahead that would require you to collect, tote and fetch things for various bots. While only a single player game, there will also be an avatar creator so you can create your own unique look, something I was told would play a role in the full game. For this demo though, I got a chance to see myself in a mirror and take a selfie with my Polaroid. A big departure from Job Simulator: the bots were all so care-free; all but one, a bureaucratic grey-faced bot who always tried to put the kibosh on the fun. After an impromptu dance party took hold of the beach’s monitor-shaped residents, the grey-faced fuddy duddy eventually reappeared, pausing the simulation and ending the demo. This, I sensed, would be the basis of the ongoing story; a boss who couldn’t bear the thought of inefficiency in a simulation about relaxation. 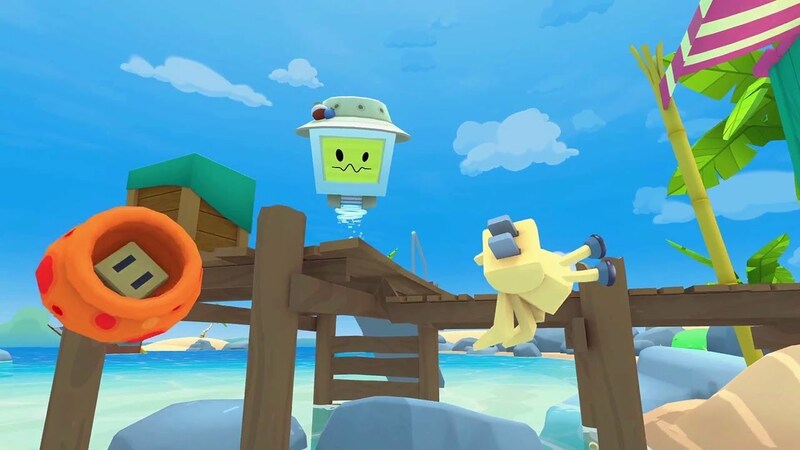 It appears from the demo that we’re in for a lot of the same type of activities as Job Simulator, albeit with a much more expansive and unified world to engage in. There’s also the promise of a story to entice you back into the simulating fold, but exactly how involved that story is, we just can’t say at this point. There would be many more areas than the little beach area, I was told though, and the bureaucrat would play a central role in the struggle to chillax. 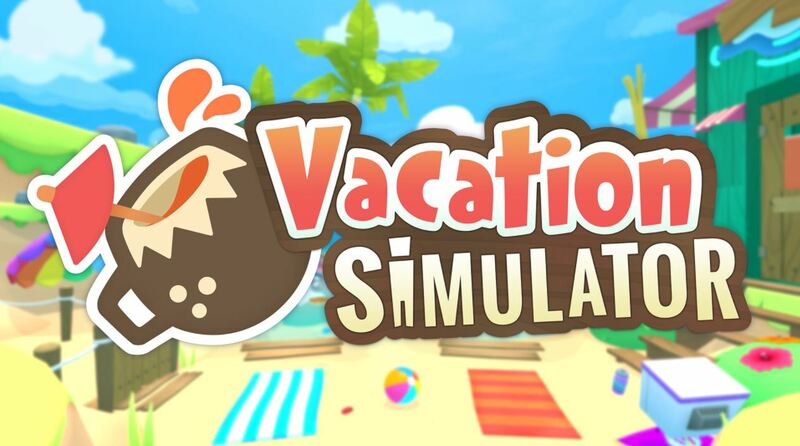 Vacation Simulator is slated to launch on Oculus Rift, HTC Vive, and PSVR sometime later this year. 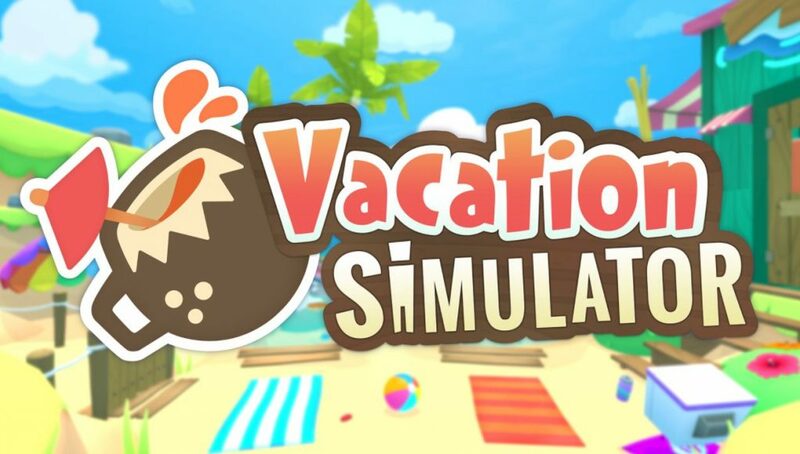 We’re bound to hear and see more of Vacation Simulator in the coming months before launch, so we’ll keep our eyes peeled. They did well Job Simulator. Okay, it was fun game. Now they make another similar looking game. Why? I can say that I am not interested in this one at all :( Maybe if hits sale and I can get it below $5. And come on, robot faces again???? Sorry, Im out. plus they teamed up for the rick n morty game which kinda had the same look and all the same mechanics. They should have made an adventure type game rather than more of the same. 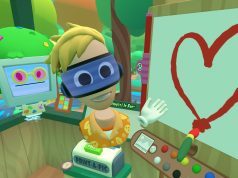 Job simulator for people who used VR for the first time. This late in the game it’s just lame. I am in agreement. My kids eat this s*** up though. It’s the only VR game they want to play. Showed them the trailer for this and they are ecstatic. Different strokes for different little folks. Apart from being a light hearted experience to show off VR and motion controlers for first time users there was no lasting appeal to Job Simulator. It isn’t really a game at all. Just an experience that constantly tells you what to do next with very simple graphics. I didn’t regret playing it but I feel zero appetite for more of this. Awesome! Loved the first game and I’m really looking forward to this! Job Simulator was a huge hit in our household. Some people have kids who love this stuff, and this is one of our go-to games whenever someone wants to see what VR is like for the fist time. Job Sim was well worth the price, and looking very much forward to Vacation Simulator. What’s the date?? How long does it take to release a game ? It is insane they dont communicate the release date there is no ETA nothing. Come on the game was announced ages ago ….